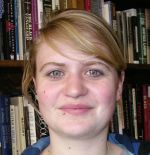 Kate Meakin is an international exchange student studying at the University of Washington, Seattle. Her major is in American Studies and she is undertaking a four year undergraduate degree, studying predominantly at the University of Hull in England. She is interested in social and political history and culture, particularly regarding civil rights and social justice in the United States. After she graduates, she hopes to work with Teach for America or within similar organisations across the United States.